Five years ago, I jumped the gun, and declared U2’s “How to Dismantle an Atomic Bomb” a great album, and a potential classic. Looking back now, although it’s still an album full of some amazing pop songs, my susceptibility to hyperbole got the best of me. I let the emotions of unexpected success at the advanced age of my favorite band persuade an over-the-top review. Actually, I’m not even going to get into a debate on one side or the other about listening to the leak, but as a mass majority, U2 fans pre-order their albums — and usually the “limited edition,” “gold plated,” “signed with Bono’s blood” box sets, anyway. And when the band releases a new album, it absolutely requires a communal listening party. It’s no wonder 100,000 copies were downloaded within hours (if not minutes) of the accidental (?) leak (actually, a premature release) on an Australian online store, Getmusic.au. You cannot keep a U2 fan from this. And the response was deafening. That’s one of the reasons holding myself back from this review was so incredibly difficult. I was dying to share my judgment of the music beyond mere descriptions and comparisons with earlier works. While my friends and co-fans were freely rating the album, I absolutely refused. There was a single trait about this album, though, that eased the difficulty just a smidge. It required repeated listenings. There was no way to comfortably form an opinion without several run-throughs. And that was a very, very good sign for the album. But I compressed two weeks of listening into three days. So, I can hold back no longer. But at least I feel so much more comfortable sharing my feelings this time around. I will start out by saying that this is the most diverse set of songs they have ever placed on a single album — and the fact that it makes for a cohesive whole is remarkable. “Achtung Baby” is a classic, but around half of the songs on that sound like they were cut from the same cloth. That just isn’t the case with “No Line”. This album ought to quiet the fans who’ve been clamoring for “something different”. They should be in heaven right about now. If the album wasn’t a success, I would still give the band major kudos for the simple fact that they had the guts and confidence at the ripe old age of… uh… me, to put out their most daring collection in over a decade. They finally stayed away from safe — and let’s face it — “All That You Can’t Leave Behind” and the “Bomb” are ultimately both very “safe” albums. Remarkable in the fact that they could come back from such a commercial disaster as “Pop”, but safe, nonetheless. I will never, ever again question their ability to continue to produce at such a creative level again. I will not be surprised if they do it again at the age of 60. Far cry from the Rolling Stones, eh? This album makes me feel young. In 1991, we were pretty shocked when “The Fly” was released as the lead single off of “Achtung Baby”. But that was ok, because it was a grower, and was ultimately a great song, with perhaps the solo highlight of Edge’s career. This time around, they shocked us again, but not in a very good way. Sorry, but “Get On Your Boots” is not a great song, nor will it ever grow to be one. It’s a throwaway, albeit with the best video they’ve produced in ages. But it fits perfectly smack in the middle of this set of songs. As a matter of fact, one of “No Line”‘s strengths in its cohesiveness is the track sequencing. It’s one of the best sequencing jobs they’ve ever done. Shortly after “Boots” was released, someone leaked the B-side version of the title track. Although most people thought it was a much stronger song than “Boots”, a recurring theme was its “cheesiness”, mid-80’s sound. I wasn’t in that group, but I did understand their reaction to it. But at the same time, I knew from the “leaked” 22 second Wal-Mart clips that the album version would be a lot moodier and stronger. I was right, and it’s a great start to the album. It’s a bit dark, has more minor notes than most U2 songs, and is very driving. And it contains some very “Achtung Baby” guitar licks. “Magnificent” has been a potential fan favorite since the infamous “beach clips”, and with good reason — it’s classic U2, with those signature Edge licks. But when I first heard it, I thought it was a bit repetitive. I really love it now, though, because it is so much deeper than that. That’s a general theme throughout this album. Nothing is as it seems on the surface. Much has been said about the “layered” feel to the songs on the album. I think that has a lot to do with the fact that they finished the album. “Pop”, “Zooropa”, and “October” have often been referred to as their “unfinished” albums. “October”, due to the rush to get out a sophomore effort, despite Bono losing his lyric notebook shortly before recording, “Zooropa”, due to the quick expansion from an intended “EP” to a full-blown experimental album between legs of the “Zoo” tour, and “Pop”, due to the early scheduling of that tour. But this was their longest stretch between albums, and they made good use of their time. Although “Magnificent” is classic U2, it starts like no other. Is that a drum machine? Sort of 80’s, and doesn’t hint at where it’s going to take us. But I can see this intro getting fans excited at a concert. There’s a definite “Where the Streets Have No Name” rhythm throughout, but it’s quite unlike that anthem. The third track, “Moment of Surrender” is U2 finally fixing the cheesy misstep of “Stuck in a Moment”. This is Bono at his most soulful, and is something quite new for U2. At nearly seven and a half minutes, it feels like half that, despite the deliberate, moody rhythm. It’s beautiful in a way that U2 has not expressed beauty before. Again, more minor notes than expected from U2. Listen in a quiet room, or with noise canceling headphones. You’ll hear it differently every time. I’m totally and completely surprised how much I love this song. It’s usually not my speed. For Some, a Trip… For Others, a “Trip”? …because the next track is worth it. There’s a bit of “In A Little While” here, but this is so much stronger, and has single written all over it. It’s a pop song, but a stronger and more substantial pop song than most of what we’ve found on the last two albums. This also contains one of the best and most joyful (although somewhat derivative) bridges on the album. I can see them expanding this bridge live. Corny title, but great pop song, and really the only true pop song on the album. Ok, just about half way there now, and quite possibly the strongest start of any U2 album yet. The Joshua Tree owns the greatest three song start ever (and if they would have just swapped “Bullet the Blue Sky” with “Red Hill Mining Town”, it would have been the best five song start). But the streak ends here — enough has been said about “Get On Your Boots”, the middle track. But despite considering this a mediocre song, I never skip it, because it breaks up the album nicely in two. I’m not a big fan of the style of the next song, “Stand Up Comedy”, which has often been likened to a Led Zep song, but U2 can pull this off better than most. Their range is amazing. I can see this as a surprise hit in the summer. It just seems like a hot summer song. There are some great guitar riffs here, and the chorus is incredibly catchy. The Edge is on fire. “Fez – Being Born” is “Zooropa”, part two. This is their most Radiohead-ish song, the most experimental of the album, and it flat-out works. The first time I heard it, though, I thought, “well, is that it?” I had heard it was a two-parter, and it just seemed like a blur in one part. But it all makes sense now. Repeated listening required for this one. You’ll hear something different each time. Now I hear “Rejoice”, from October. It took me a very long time to get into “White as Snow”. I’m still not fully sold on it. I think it could have been taken to the next level, and the thing that saves it from being too generic is the great music behind it. It sounds like an old cowboy song, which isn’t necessarily a bad thing. It just seems a bit more repetitive than they’ve done in the past. It feels like it’ll take off during the change around the 2:10 mark, but it falls away from that fairly quickly. I’m not big on lyrics. It only makes much of a difference to me when it’s either completely corny (a LOT the last couple of albums), or profound. I’m looking for profound in “White as Snow” to get by the plainness. But I can’t really complain, because it’s still quality enough where I never skip it. And I can see this still growing on me. “Breathe” is the mainstream version of “Acrobat” — mainstream only in its accessibility. This has the chance of being a huge hit. The crazy time signature of the verses is what most gives it its “Acrobat” feel, and then it breaks into a conventional pace for the brilliant singalong chorus. This is a highlight of the album. You cannot go by the 22 second Wal-Mart clip. It’ll completely throw you off. Even if this doesn’t become a hit, it has “huge fan favorite” written all over it. This is a solid example of how U2 is willing to abandon playing it safe once more. “Cedars of Lebanon” has been the main disappointment for me, but only because I heard amazing things about this from the early listener reviews. The music is tremendous, but the vocals are monotonous. This is the second song I feel could have been so much more. It does get a lot better with repeated listening, so there’s still some hope. But as of now, this closer is a cross of “Grace” (never liked much at all) and “Wake Up Dead Man” (which I grew to love). So it’s somewhere in the middle. Bono’s vocal range hasn’t been this good in over a decade. I hope it remains this strong during the tour. He’ll never reach his “Lovetown Tour” peak again, but if he can be half as successful, we’re in for a treat. What’s very strange is that I’ve seen a few people comment on how he sounds like a tired rock star. I understand how music can be very subjective, but either someone’s voice cracks a lot, or it doesn’t — am I missing or ignoring something? I don’t know. To me, his voice has ALWAYS cracked at times, and I wonder if the comments are due to people comparing his voice to what they’ve always hoped it could be. And to revisit the vocal chanting — I think it’s great, if only for showing how they’re a complete band, and everyone is getting a chance to sing now. I’m pretty sure Daniel Lanois and Brian Eno are two of the voices in there, too. It sounds like a celebration to me. This is an exciting album, where hearing the opening bars of a song on the radio could thrill me. I can’t say the same feeling was there for the past two albums. But Is It a Masterpiece? 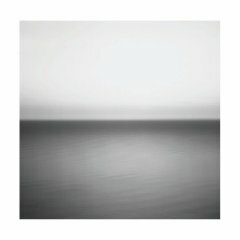 Yet, the question remains: will “No Line on the Horizon” be considered a masterpiece? Well, if you consider a masterpiece something that is representative of an entire body of work, yet still unique unto itself… and if you consider that a masterpiece is where each song is strong enough to stand on its own, but the cohesive whole is greater than the sum of its parts… and if you consider that the band is secure enough in its own abilities to invite influences from artists both older and younger, yet still have a strong enough ego to know they can make it their own… and if you can revisit it without tiring of it, and if it can stand the test of time, then it has the potential to be considered a masterpiece. You can only speculate if a new album will eventually be thought of as a masterpiece by the masses. How much time passed before “Achtung Baby” was looked upon as one? “The Joshua Tree”? All the ingredients are there, except for time. That still remains. I’m listening to this album again right now, with headphones on, and it just keeps better and better with each listen. It’s pretty exciting to feel this way about an album again. There’s such an incredibly lack of memorable albums these days, No Line couldn’t have come at a better time. Yeah, I was actually surprised Rolling Stone recognized a great album (finally). I’ve been so disappointed in their reviews for a while — not necessarily because I’ve disagreed, but mainly because their basis for so many of the reviews had me shaking my head. But David Fricke seems to put a lot more thought into his reviews. Bob Lefsetz was very excited about what he heard, but I’m not sure why he posted it before listening to the entire album. It took me about 10 to 15 full listens (in 3 days) before I posted mine. I’d love to read what he’d say after he listens several times. I’ve been revisiting a lot of older U2 since I heard NLOTH, and it’s reminding me of how great these albums sound even now. I’ve hardly listened to them for a couple of years (I have actually found a lot of other great stuff out there), because I wanted to give them a bit of a rest before the new album. But I’m ready for the tour now! Bring it on! What Bono has to say or not say resonates differently with different people. Some people actually don’t care about what he has to say as much as what the music says to them. If this album doesn’t connect with you, like you said, you definitely have a great catalog of stuff to go back to that does. I just wrote another article where I try to explain why some people love it, while other people don’t. Well, it’s not very intellegent to call POP a commercial disaster. Don’t forget, my darling, that it has sold 8(!) millions worldwide up to date. And this “masterpiece” has failed to sell even a single million (stateside) 3 months after being released. And it also failed to give at least a Top-10 hit in US or UK, no to mention No.1 hit, which is an absolute flop by U2 standards. So, once again, in fact will they come back from such a commercial disaster? It’s not the sales level which makes any record great or a masterpiece in fact. Listen to the music and don’t believe the hype! The opinions expressed on this site are my own, and do not represent my employers' or clients' view in any way.